If all athletes had access to the same performance-enhancing drugs, wouldn't that make competitions more fair? And why are some performance enhancing technologies, like hyperbaric chambers, acceptable, but some, like impermeable swimsuits, are not? 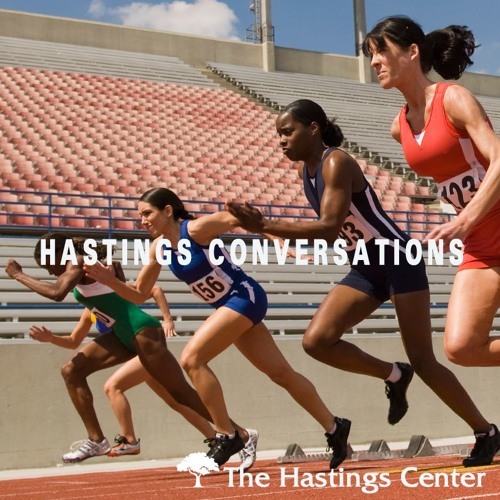 Mildred Z. Solomon, President of The Hastings Center, spoke with President Emeritus Thomas H. Murray, author of "Good Sport: Why Our Games Matter -- And How Doping Undermines Them" in Hastings Conversations, right after the 2018 Winter Games. Hastings Conversations explores critical questions in bioethics and cutting-edge research at The Hastings Center. Hosted by Hastings Center president Mildred Solomon. Users who like What's Wrong with Performance-Enhancing Drugs in Sports? Users who reposted What's Wrong with Performance-Enhancing Drugs in Sports? Playlists containing What's Wrong with Performance-Enhancing Drugs in Sports? More tracks like What's Wrong with Performance-Enhancing Drugs in Sports?